Distorted and disfigured… What if the people you idolized turn into those two things? Would you still love to look them with your eye? Anyway, let’s just hope that does not happen, because when it does, that’s the only real time you’ll know. But don’t you just get curious from time to time? What if their faces became as though mangled by an animal or enlarged unevenly like a balloon filled with water? Just for fun’s sake, wouldn’t it be nice to play a game that test your cognizance despite the major flaws and impurities? Guess what, there really is a game coated with that purpose now – it’s called PuzzleFace. 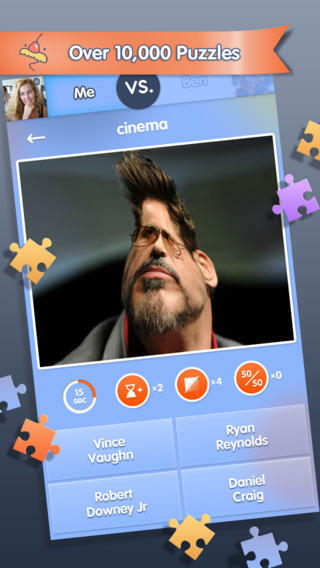 PuzzleFace is a wonderful creation of Planet of the Apps LTD. That statement is considerably ironic given that it gives entertainment by literally making fun of famous people’s face. Anyhow, testing your recognition skills is veritably put to test in this new, unique, and purely exciting game that will bring about laughs to everyone who has a good sense of graphical humor. All it really takes is for your Apple device to have the iOS version 6.0 or the other later versions. It works on the iPad, iTouch, and the ultimate media device, iPhone. Furthermore, this gaming app is at its best functionality with the iPhone 5, which is original framework designation. If there’s one word that best describes this game app, that would be the word “awesome.” Do you think you would have enough winning streaks to reign the game supreme? Do you think you can tell it’s the genius Albert Einstein if he had pockmarks all over his face or would you be able to stomach the supposedly endearing Taylor Swift if ginormous pimples were bulging from every spot on her face? But I guess the better question is, would you even know it’s her? After all – in this game – what matters is that you know, despite all the imperfections and disifigurations. * Various collection of themes from over 2,500 pictures including: Movie Stars, Music Icons, Fashion, Sports Icons, World Leaders, Business, Art & Science and etc. 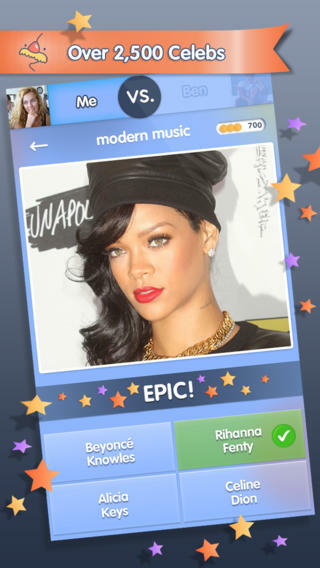 What’s more is that the game is now added with a cool featured called Zombie Celeb, where you will be challenged to guess famous personalities in their zombie faces. Get this iPhone app now!